Taplands offers 25 rotating craft beers on tap, over 50 bottled craft beers, and a menu of snacks and sandwiches using local, fresh ingredients. We also brew our own beer, using 20-plus years of home-brewing experience, allowing us to offer growlers when available. Grabbing a beer at Taplands is a great way to catch up with friends and family. If you want to bring the same brew experience home, check out our Caplands bottle shop. My vision for Taplands is to be the center of beer discovery and enjoyment in the Silicon Valley. I want our customers to feel like it is a neighborhood bar and “packy “ and beer aficionados to feel like they have a place that understands and appreciates their sophisticated palettes. Lastly, I want the brewing community to recognize us as a place where their craft is recognized and truly appreciated. Thank you for making us a destination on your beer discovery journey! Taye diggs in the house! February 26, 2019 - Occasionally, athletes or local celebrities pop into Taplands to enjoy a beer but this is the first time (that we know of) a major movie/Broadway actor hung out. 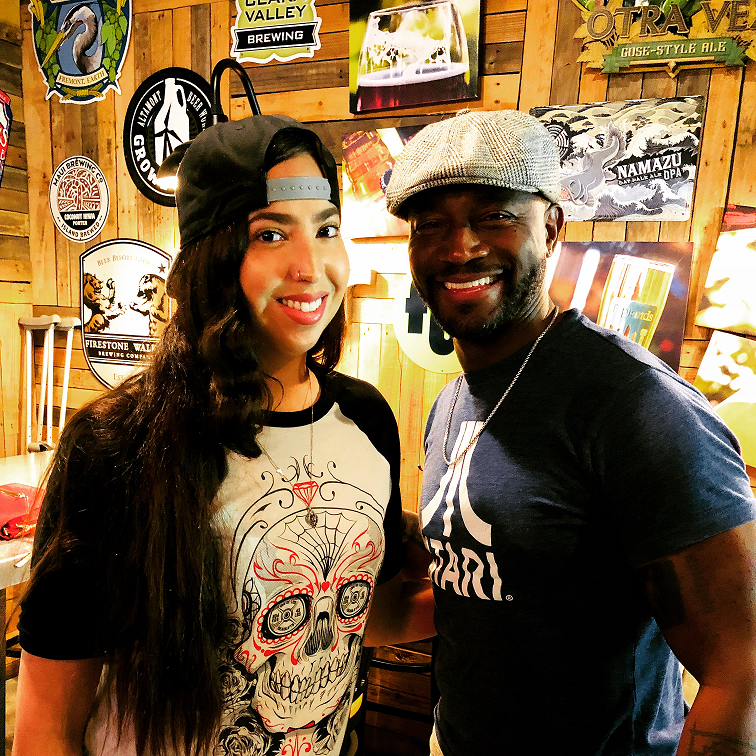 Taye Diggs was nice enough to take a picture with our rock-star taproom manager, Isabel Tiscareno (Izzy). And, we thought that was it. SFGATE.com included the sighting in their weekly beer newsletter. Click here.